I know. I know. Go ahead and let me have it. I’ve been a terrible blogger. With Lisa getting her wedding stuff finalized, that leaves little old me to man the blog and I won’t lie, as you can clearly tell, I’m often not up to the challenge. I meant to post last week but I had my nanny duties on Wednesday (my posting day!) along with taking care of my own toddler. Not to mention, I turned 25 on Friday. And yes, I am having a quarter life crisis, thanks for asking. 😉 Ha ha. I’ve always said that a good cover can make me stop and take notice. And although the age old adage: ‘Don’t judge a book by its cover’, is good in theory, it doesn’t work when it comes to actually purchasing books, as covers are the very first introduction we get to a story. In fact, the cover to this next book made me look up the author and discover a series I didn’t even know existed. Another cover, which feeds my recent hunger for minimalist cover art that delivers a POW, is POSSESSION by Elana Johnson. Tell me this is not just beautifully eerie. And the tag line? Control or be controlled. Right up my alley. Not to mention the book deals with brainwashing and Thinkers and a really crazy society where breaking the rules results in rehabilitation. Dystopia indeed. Then there’s this dark and gothic cover for BLESSED by Cynthia Leitich Smith, author of ETERNAL and TANTALIZE. I haven’t read that series myself, as I’m all vampired out, but it has gotten some really great reviews and Ms Smith has been said to give a wink to Bram Stoker. So if you’re going to do vamps, may as well respect the classics, right? 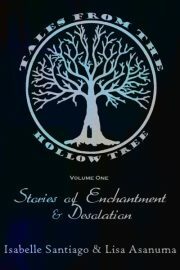 Hello again, Hollow Tree readers! It’s been quite a while! 😀 How were your last two weeks? I hope you did a lot of movie watching, book reading, and fun creative things. We missed you around here, so please leave us some love in the comments, yes? Now, onto today’s blog post. 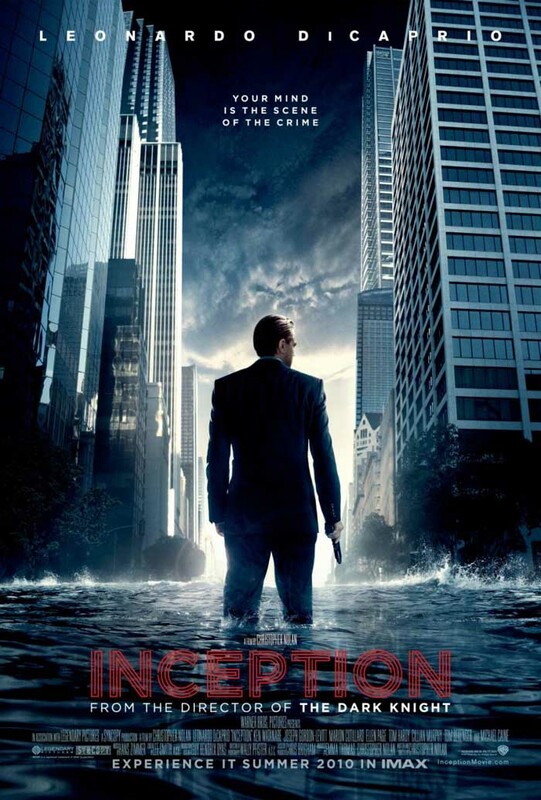 I realize that I might be the last person on Earth to see Inception, but I couldn’t let it leave theaters without catching it on the big screen. I’d been excited about it since seeing the first trailer on TV, then even more when seeing some of the billboard promos at the theaters while going to see Eclipse. I knew very little about the premise of the movie except that Leonardo DiCaprio’s character had the ability to go into dreams. That alone fascinated me, as I’ve talked on the blog before about how much I like Morpheus, the Greek god of dreams. I didn’t expect the world to be so fully realized and complex. For the movie to boggle my mind. For the characters to charm me. Going into the first few scenes, I loved how real the world felt. Like our world, only not. A world where people know of others’ ability to steal secrets from their dreams, where people train and protect their minds with soldiers yielding actual guns, where someone could use your own subconscious against you. It also helps that Leonardo Dicaprio’s character was so tortured. I LOVE tortured heroes. He was broken and empty and needing more than anything to fill a void in his life. He stole and schemed and lived a criminal’s lifestyle, yet he had a heartbreaking vulnerability. All in all, the movie stayed close to the usual heist plot, with the element of the surreal. The ending, which everyone is still buzzing about, leaves the entire movie open to interpretation, and forces us to question everything we think we’ve learned. But what I love best is the science of it all. The way dreams are used to expose the very basest part of us, and how our dreams truly reveal who we are and what we’re thinking. There was just the right amount of humor and intrigue. Each person played a very distinct and useful role which made the completely surreal plot feel meatier, and somehow terrifyingly possible. I can’t give away too much without giving it all away, but I found this movie to be one of the best I’ve seen, in that it truly boggled my mind and left me feeling awed. I give it a hearty A+. Unfortunately real life has taken it’s toll here at the magical realm known as Hollow Tree. Between Lisa’s upcoming nuptials and my endless stream of jobs and running after my very active toddler, I find myself burned out and in need of comfort. I plan to spend the next two weeks pulling every free minute, which aren’t many these days, reading and writing. I have to replenish my creative well. The soul is dried out and miserable. Books in my TBR arsenal? Firelight and the Glass series by Maria v. Snyder. Four books in two weeks. Can I do it, on top of everything else I have spiraling out of control in my life? Only time will tell. And perhaps I’ll have more than half of my novel written by then as well. That would be sublime. I will resume my half of the Tree magic on Sept 15. Until then, please play amongst yourselves and leave our happy place some love via comments. See you all down the rabbit hole, my pretties.